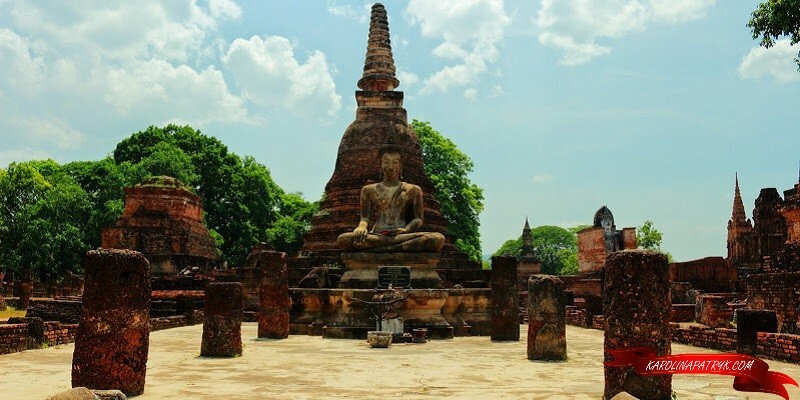 Sukhothai is not a popular tourist destination in Thailand. To be honest, we first heard of this place during our second stay in this country. 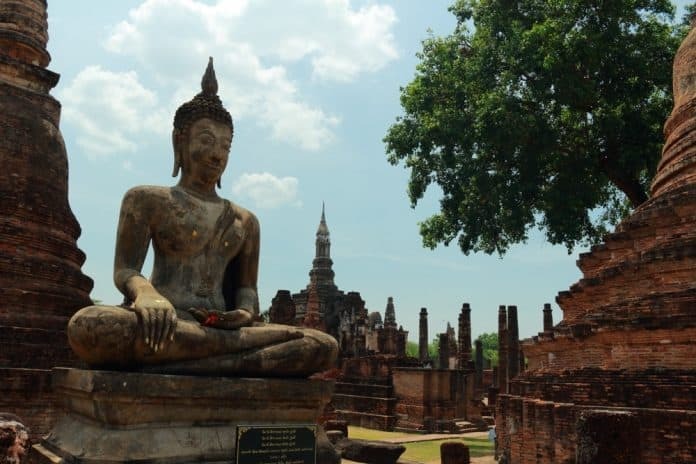 Sukhothai was the first capital of Siam Kingdom. It was very powerful, meaningful and modern city in the Middle Ages. Now all that’s left from the old kingdom are ruins, listed as UNESCO world heritage site. 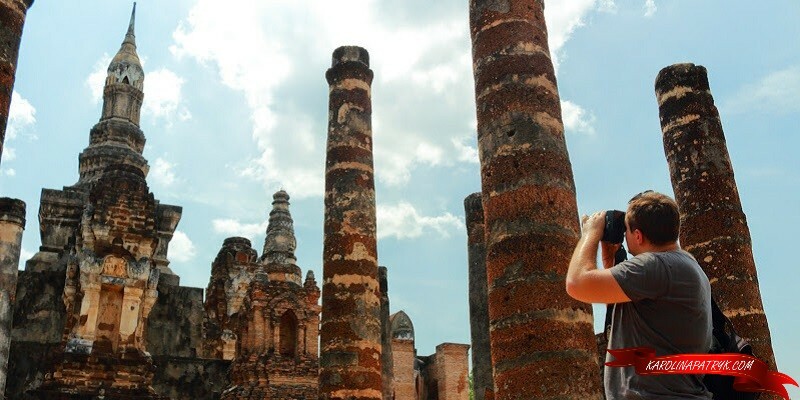 Sukhothai Historical Park is amazing! 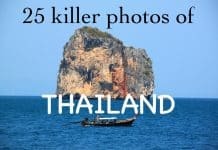 It’s one of the most beautiful places we’ve been in Thailand. It’s pretty similar to Angkor in Cambodia. 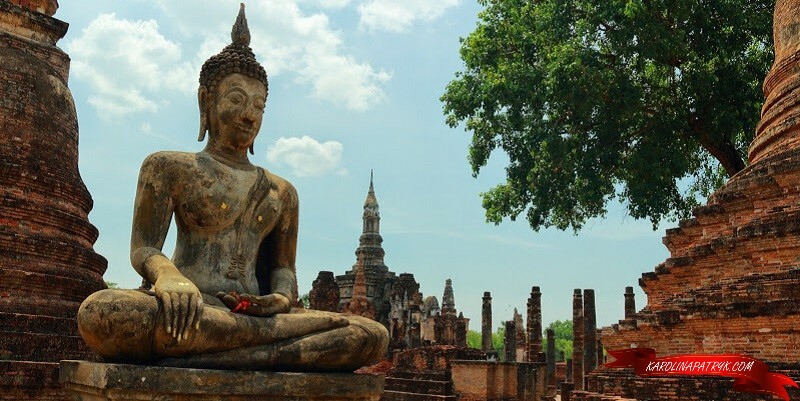 For us, Sukhotai is even better than Angkor. Why? Because it’s less crowded, cleaner and cheaper. 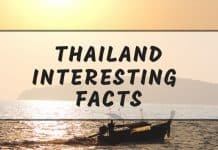 Historical Park is in situated in Northern Thailand, about half way between Bangkok and Chiang Mai. There are no trains in Sukhothai, so the only way to get there is to take the bus. 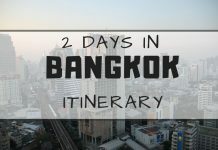 It will take about 5 hours to get there from Chiang Mai and about 6 hours from Bangkok. 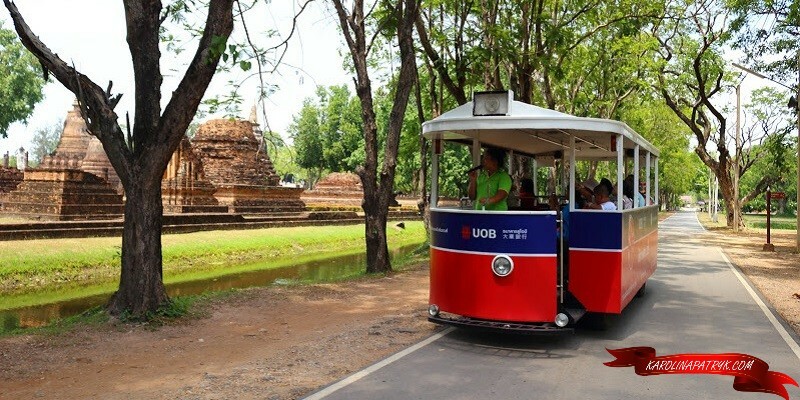 In May 2015 we couldn’t buy bus tickets from Chiang Mai to Historical Park online. We had to go to the bus station and buy tickets on the spot. What to do in there? 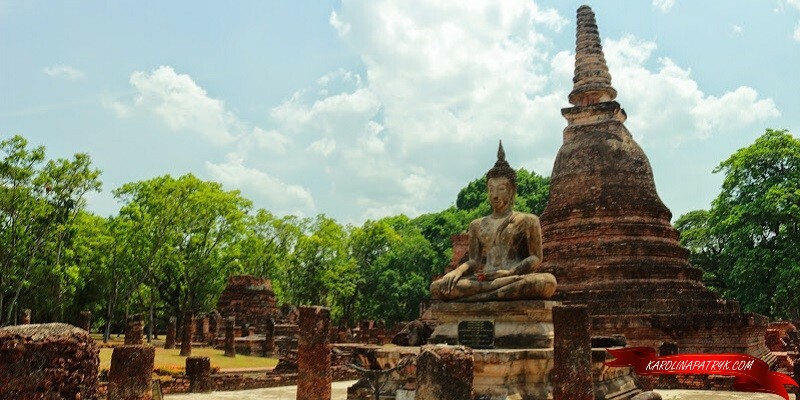 Everybody visit Sukhothai to see the Historical Park. So spending one day in there would be enough for every tourist. 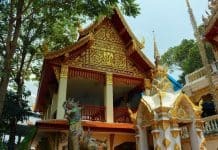 The best option would be to come to Sukhotai early in the morning, visit the Historical Park, stay for a night in the hotel and leave the town the next day. It really is the easiest and the cheapest way to see everything fast. Historical Park is huge, so you will be too tired to just walk around. Rent a scooter from your hotel, drive about 15 kilometres to the Historical Park, buy a ticket and go inside. It’s really awesome that it’s allowed to enter the park on scooter! 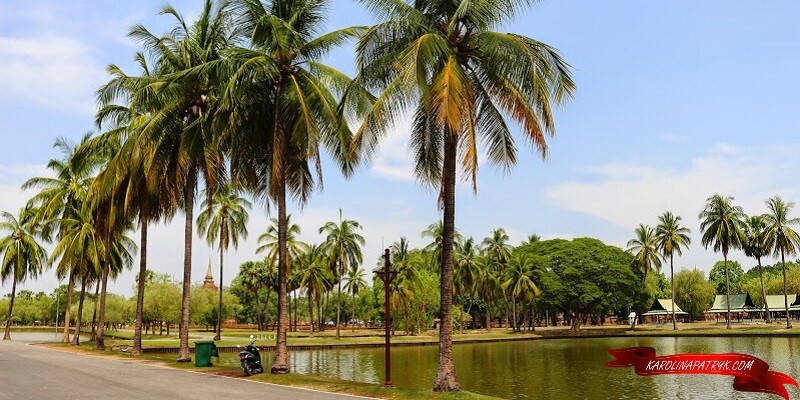 If you don’t like driving a motorbike, take tuk tuk and then rent a bike in Historical Park. You can also buy a ticket for the bus that’s driving around the Ancient City all the time. 2. Take your smartphone with Thai Sim Card. You can find out a lot about the Historical Park, if you scan the QR code on each building. The video on YouTube with description of what you see will start to play. 3. Avoid sightseeing at noon. It is so freaking hot! We came to Sukhothai at about 1 p.m. and we couldn’t withstand the heat. Historical Park is open air, so there is almost no place without a sun in there. Next articleKek Lok Si Temple- the best temple in South East Asia!